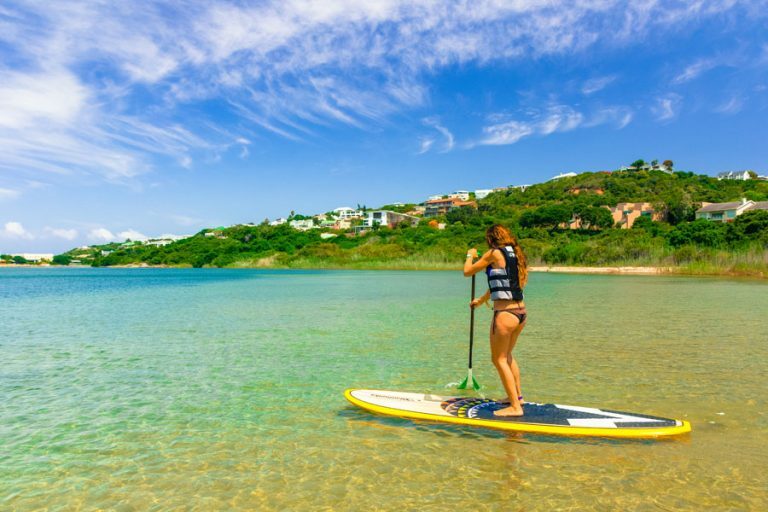 Knysna’s coastline is littered with adventure and extreme beauty and there is no better way to explore the scenic corners of the Knysna aquatic surrounds than from the deck of an SUP. Our excursions are packed full of adventure and sensory reward all while affording clients one of the most comprehensive low impact body workout around. 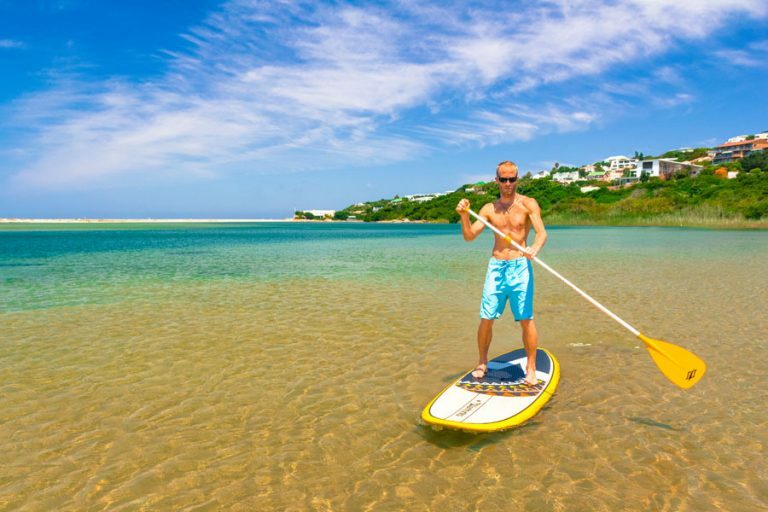 We offer a number of guided tours ranging from a scenic paddle within and around Knysna’s famous Heads, tranquil flat water tours along either the Knysna or Goukamma Rivers or for the more adventurous an open ocean paddle in the surf at the beautiful seaside village of Buffalo Bay. A variety of gear is available for rental and tours to suit every need either privately or in groups ranging from one to two hours. We also accommodate birthday functions as well as school or business team building events. Please remember to book in advance and to bring plenty of sunblock.